Camera shows endless columns of dark chairs. Loop ready animation. Silhouettes of chairs. Black and white loop ready animation. Endless rows of black chairs. Loop ready animation. Camera moves away from a large number of similar chairs. Endless rows of red chairs. Loop ready animation. Brown chairs set in rows. Loop ready animation of large number of chairs in empty space. Chairs of grey color set in endless rows. Loop ready animation of large number of chairs in empty space. Endless rows of blue chairs. Loop ready animation of passing large number of chairs. Endless rows of black chairs. Loop ready animation of passing large number of chairs. A group of participants watching the presentation. Back view. Two hands of journalists with microphones on white background, alpha matte, 3d animation. Boom pole microphones and hands with mics in prohibition sign, 3D animation. 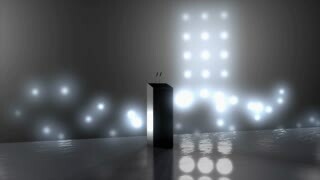 Zoom in of hands with microphones, 3d animation on white background, alpha matte. Public speaking animated word cloud, text design animation. Public speaking animated word cloud, text design animation. Kinetic typography. Briefing animated word cloud, text design animation. Kinetic typography. Briefing animated word cloud, text design animation. Committee animated word cloud, text design animation. Kinetic typography. Committee animated word cloud, text design animation. Moscow Russia - September 22 2016: People on the forum on business development and marketing. The audience. Hall is full.